The dining scene in the Woodlands is never still. Restaurants open and close on a regular basis as they try to find the perfect balance of food, service, and atmosphere that will keep notoriously fickle Woodlands patrons coming back. Most suburbs have the reputation of being filled with chain restaurants, and the Woodlands certainly has its share. But the Woodlands has also attracted more than its share of independent restaurants. We don’t discriminate – we enjoy good food no matter who owns the kitchen. The Black Walnut – This locally grown casual cafe has toned down the quirky factor, but it’s still like going to a restaurant that’s run by your crazy cousin Louie… if Louie could cook. Breakfasts are very good here, as are the unique sandwiches and salads. And be sure to save room for dessert; seasonal gelato offerings are rich and enticing. Capri – The secret is out about this small, family-run Italian cafe. Barbara Coglianese’s kitchen turns out exquisitely handcrafted pastas, and entrees, both featuring sauces made from family recipes brought over from Bologna. An enthusiastic cadre of very happy regulars calls Capri the best Italian spot in the Woodlands, and one of the best in the Houston area. This isn’t the Olive Garden; it’s more a place for foodies in search of authentic, handmade cuisine than for those wanting overly Americanized versions of Italian classics. Chuy’s – The Woodlands is home to plenty of UT alums, and when they want Mexican food, they often choose to visit this Austin export. You’ll find offbeat wait staff, Mexican food that trends as much toward New Mex-Mex as Tex-Mex, and some of the best margaritas anywhere. Texas Exes will insist on asking for the complimentary creamy jalapeno sauce alongside the light, citrusy salsa. 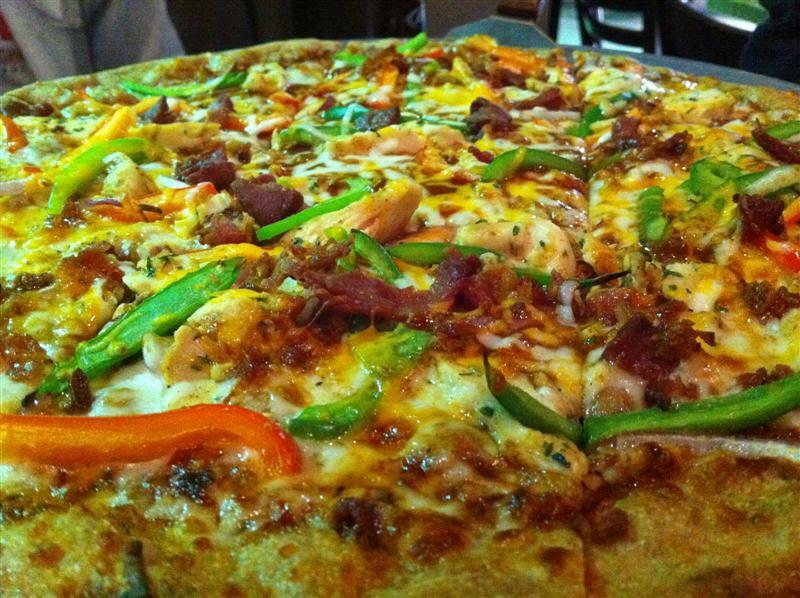 Crust Pizza – This new locally-run pizza parlor has been garnering great reviews from everyone who’s tried it. The owners are on-site, the pizza dough is handmade and never even refrigerated, and the creative toppings give pizza aficionados reason to order outside their comfort zones. We’re usually pepperoni traditionalists, but the jerk chicken pizza is something we can’t stop ordering. Crust has proven to us that great pizza isn’t about a special oven, it’s about massaging all the variables until the result speaks for itself. 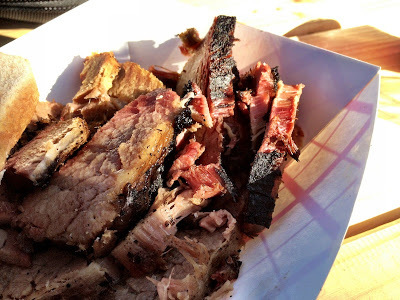 Corkscrew BBQ – This new Woodlands food truck is backed by an experienced BBQ team, and the results speak for themselves. Delicious brisket, buzzworthy pulled pork, and perhaps the best cobbler we’ve tasted in years. Daily specials, too. Eden Cafe – Located in Egypt (literally, it’s the name of the area just behind the northwest border of the Woodlands) this family-run cafe surprised and impressed us with its well edited menu and daily specials. The talented kitchen turns out excellent work in a variety of cuisines (we’re particularly fond of their chicken entrees), but their Cuban dishes stand out among the best in the Houston area. The Goose’s Acre – This pub, located on the Woodlands Waterway, features a beautiful deck perfect for al fresco dining on the water. The kitchen turns out considerably better-than-average pub food; can’t miss items include the half-pound burgers, creative salads, and well executed pub favorites. A spirited weekend crowd keeps the parting going. 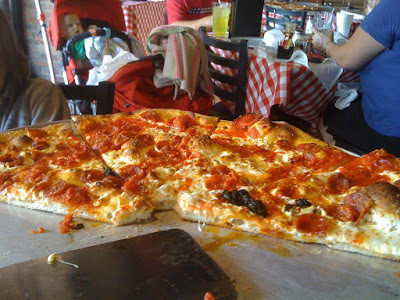 Grimaldi’s – The second Houston-area outpost of this iconic Brooklyn pizzaria calls the Woodlands Waterway its home, and locals are raving about the coal-fired NY-style pizzas. We’re fans of the savory Italian sausage, rich with fennel. 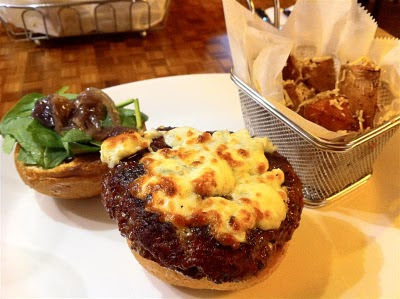 Hubbell & Hudson Bistro – This upscale American bistro is attached to the Woodlands’ largest gourmet market, guaranteeing access to some amazing ingredients. And Executive Chef Austin Simmons makes the best of them, turning out impressive seafood dishes, entree salads, and a variety of design-your-own steak dishes designed to please the pickiest Texan. 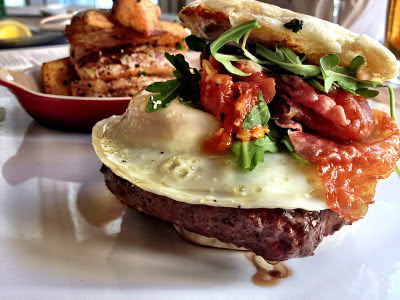 He’s even added an epic Wagyu Burger to the menu, and it blew us away. Hubble & Hudson Kitchen – The more casual cousin to Hubble & Hudson has been packing them in since the day they opened. Patrons wait in line to order superb burgers and outstanding sandwiches, and the brunch offerings on weekends are among the best in the Houston area. Thank goodness for the outdoor patio, because the dining room can be packed during peak hours. Hubble & Hudson Kitchen combines perhaps the best fast casual concept we’ve experienced with a small gourmet market, giving home cooks the perfect place to stop for ingredients, inspiration, and a delicious quick meal. 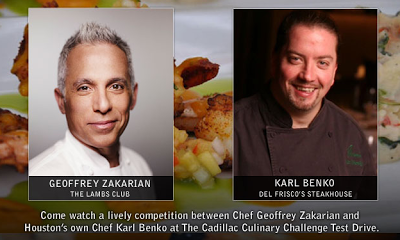 Jasper’s – Upscale backyard cuisine is how this Dallas export describes its fare, and we think that fits it to a T. This is Texas cuisine as imagined by Kent Rathbun, an Iron Chef contestant who’s known for his innovative takes on hearty food. Great bets include the prime steaks, excellent pork loin, and half-pound burgers. We’re always impressed with the care that goes into the excellent side dishes, and their desserts are some of the best in the Woodlands. 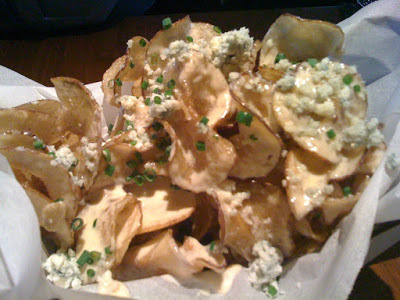 But you simply cannot miss the housemade potato chips with Maytag bleu cheese. Addictive. 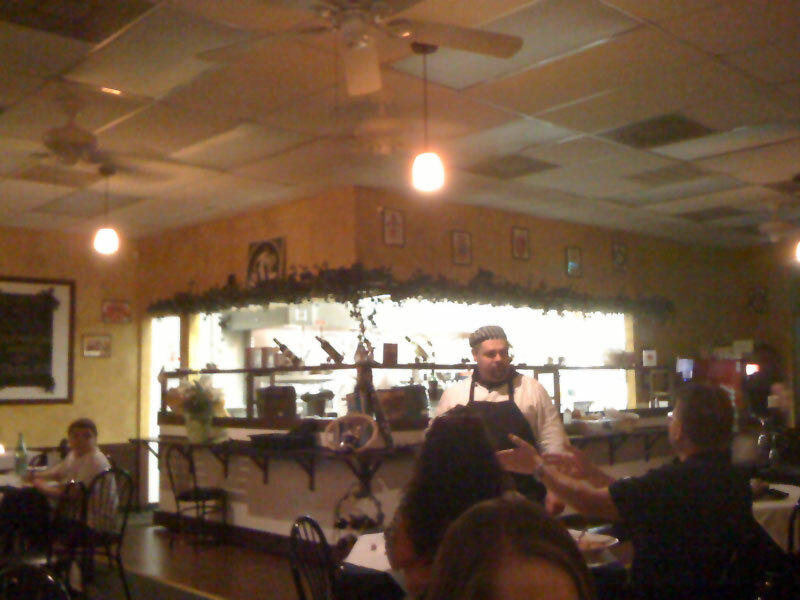 The Olive Oil – Suburbs aren’t know for their ethnic food, so we were pleasantly surprised to find an excellent Greek restaurant in a nondescript strip center location along Sawdust road. All the Greek standards are well represented on the menu; the gyro is one of the best we’ve enjoyed anywhere. The restaurant turns into a party on weekend evenings, with belly dancers, Greek dancers, and live music, so be sure to make a reservation to guarantee a table with a view of the festivities. Perry’s Steakhouse – There are plenty of steakhouses in the Woodlands, but Perry’s stands apart for three reasons. First, it’s located away from the “downtown” area, making parking a breeze. Second, it’s a local business, albeit one with several locations. And most importantly, the grilled meats are very satisfying, and handled with an expert touch. Those in the know go for the absurdly thick pork chop, which is perfectly prepared and rubbed with seasonings that really bring out the flavor. Rico’s – Tex-Mex in the Woodlands is popular, and it seems that every second Tex-Mex place is now a Rico’s. This local empire has been growing rapidly thanks to its deft handling of traditional Tex-Mex favorites. The fajitas are very good and offered with some tasty embellishments (melted oxaca cheese and chunky bacon are our pick) and the margaritas are strong and tasty. 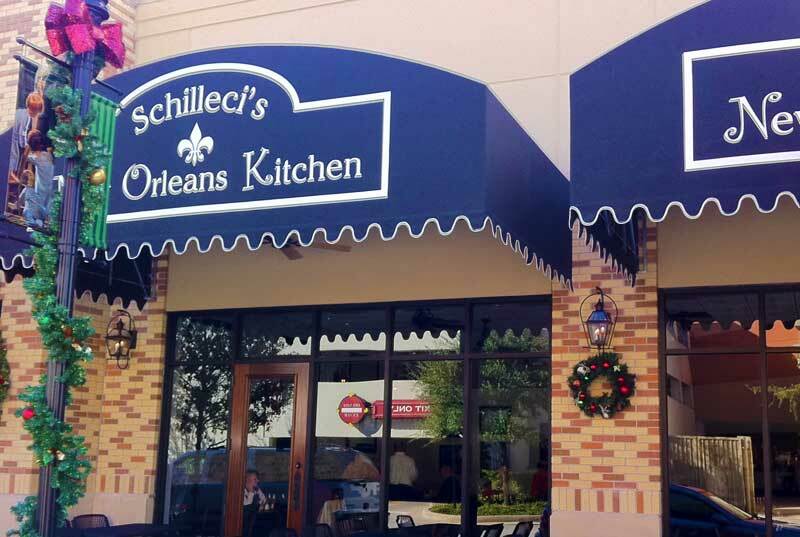 Schilleci’s – The Houston area has become the home to many New Orleans expatriates, and the Woodlands is lucky to be the new home of the Schilleci family’s eponymous restaurant. This New Orleans-style restaurant serves up outstanding etoufee and gumbo, and the authentic po boys are as good as you’ll find outside of the Crescent City. The secret? The Schillecis import bread from New Orleans for that authentic chewy crunch. There you have it. 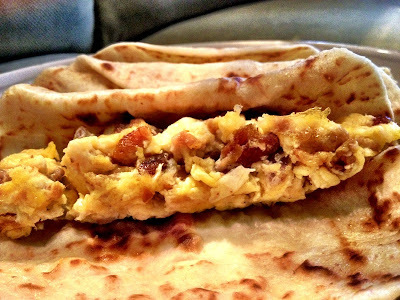 Our favorite places to eat in the Woodlands. If we’ve missed yours, tell us about it in the comments. Great list, but I wish Masa's (in Panther Creek) would get some love – the sushi is great and the uni is perfection. The quality has dropped a little since one of the chefs left but still the best sushi in The Woodlands (and in Houston, IMHO). I love Chuy's. The food is awesome. Have you tried Palotta's? If so, what do you think of their food? I tried Pallotta's three times when I first moved out to the Woodlands. The food was mediocre, and the service was bad. And what about now, Albert? I'm sorry to hear that – really enjoyed them at their old (Jones Road) location. Eden, Capri, and Olive Oil are on my future list. Which should be first? Tough decision, Nichol. Capri would probably be my recommendation to a foodie (their Italian isn't what you typically find in the States), Eden would be my recommendation to a family (Wide variety of dishes, something to please everyone), and Olive Oil for those who enjoy entertainment with their meal – go on a Saturday night. Stadia – wings, burgers, beer and sports. Even my wife loves it. Sakekawa – as stated above. Wonderful sushi, impeccable service and owners who care. Saki Saki Saki Bomb! Crabby Daddy's – Fresh seafood prepared with a classic touch. If you don't see it on the menu, try their market next door and they will cook it for you. Great during crawfish season. A few opening soon that need to be researched. Kim Son – opening in the old Tesar's location. Can they overcome the parking hassle and achieve staying power? Mi Cocina – opening in Rockfish's old location at the mall. Tex Mex with a gourmet slant. The Dallas location we tried was very memorable. I look forward to future installments and additions. Giving a vote for Katz's Deli Express – in The Woodlands. The Reuben is to die for (with free add-on sauteed mushrooms and onions) and the Philly cheese steak is so huge and dripping, I have my cardiologist on speed dial – excellent – and the oversized Cob Salad is a lunch time favorite of mine….plus, on two occasions, they've offered a $40 and a $24 half price social coupon through Houston Press Daily Deals – which in my book, totally rocks! I suggest Corkscrew BBQ, mmmm, best bbq out there! Thanks for the suggestion, Ind1403. Corkscrew BBQ is now on the list. 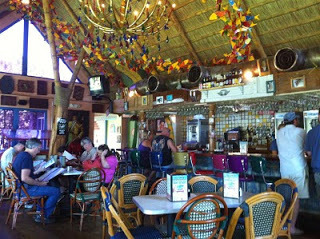 Just up the road, a little north of River Plantation, is a wonderful new "joint" called the Whistle Stop Cafe. Everything there is homemade. The fried green tomatoes are not the least but greasy and wow, the flavor is great. We had lunch there and it is reasonable and well worth the short drive. Any recs around wdls for Indian,Thai and Pho? I've just discovered Bombay Sizzler on Sawdust – I'd go back. Thep Thai on Sawdust is the best we've found out here, but we're more likely to drive into Houston to eat at Morningside Thai. Lucky Cafe on Glen Loch is my spot for Pho. Definitely agree re Bombay Sizzler. It's the only Indian food in town that I'll eat. It's not quite as good as Tamarind (which it replaced), but I don't think Tamarind ever had the same menu two days in a row and couldn't decide when (or if) they offered a buffet. Shot themselves in the foot with the unpredictability. Will check em out. Thx! Love, love love the Hubbell and Hudson marketplace. Highly suggest when you're not eating out, take one of their cooking classes. High dollar value there!